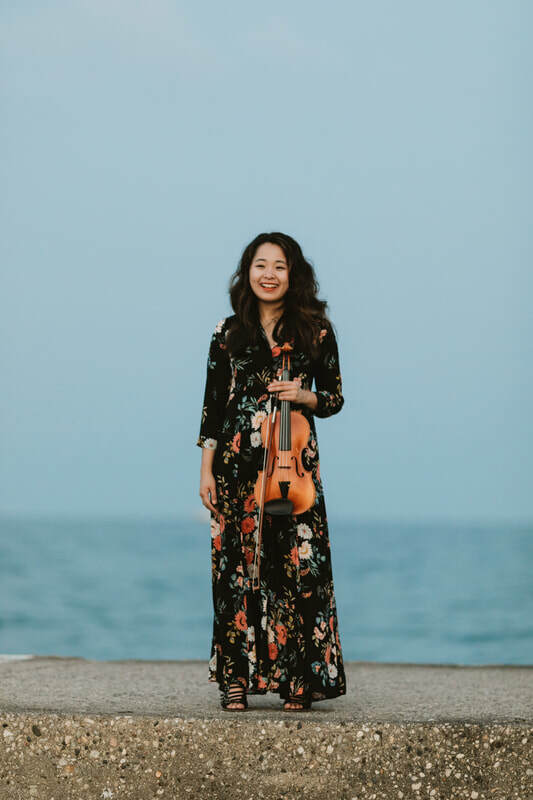 A musician who “effortlessly weaves between genres and brings as much rock and roll to the violin as she does classical precision and refinement to rock and roll," Grace Youn has established herself as one of today’s most versatile violinists. A native of Tacoma, Washington, Grace began violin studies at age 7. Grace's performance engagements have taken her across the United States, with shows in Seattle, Denver, New York, San Francisco, Los Angeles, Santa Fe, Honolulu, Chicago, Houston, Formula 1, SXSW, and Austin City Limits. She has performed with Conspirare, the Balcones Community Orchestra, Montecito International Music Festival Orchestra, Austin Civic Orchestra, the University of Puget Sound Orchestra and Wind Ensemble, and the Tacoma Youth Symphony. She was a prize winner in the Texas Rising Stars Competition, the Beatrice Hermann Young Artist Competition, the International Rockin' Fiddle Challenge, and the Music Teachers National Association Young Artist Competition. In 2011, Grace launched her YouTube channel, grace plays violin, where she explores various musical genres, combining classical traditions and techniques with other musical styles. Her videos have accumulated thousands of subscribers and millions of views. Grace's work has also been featured in film, TV, music recordings, and live shows of touring music artists internationally. Grace earned her Artist Diploma and Master of Music degree from the University of Texas - Austin and her Bachelor of Music degree in Performance from the University of Puget Sound. Her primary teachers include Brian Lewis and Dr. Maria Sampen. A dedicated teacher, Grace is on faculty at Huston-Tillotson University and Austin Suzuki Music School and teaches masterclasses around the United States. Find more about Grace at www.graceyounviolin.com!